The U.S.A. was created by people from all over the globe and our language is just as mixed up as our population. As a result, we have words we like to think of as English that were actually born in languages far, far away. When you think of having restaurants that serve delicious meals with all sorts of flavors from countries like Mexico, Ethiopia, Italy, China and Greece, you feel glad. When you try to spell or pronounce words that are often used in English like “creme brule,” “sopapilla,” or “gesundheit”–not to mention odd specimens such as “knight” or “catastrophe”–you wish you lived in a country with no written language at all. Let’s assume you can recite the sounds of the alphabet: “‘A’ is for apple; ‘B’ is for ball…” and so on. You know the names of all the letters and even the sounds they make. Hooray! Do you think you have all the tools you need to read and spell most words? Not really. Even people who’ve spoken English all their lives have trouble reading combinations of letters that make sounds that don’t seem to make sense. How about “ea”? Do you say the “e” or the “a”? The childhood rhyme goes “when two vowels go walking, the first one does the talking”–meaning the first letter gets to say its name and the second letter just sits quietly. So, the sound is the same in “eat,” “tea,” and “demeanor.” You also have a clue as to how to say “ai” as in “sail” or “ailment.” Or “oa” as in “oatmeal” or “bemoan.” Yay. One problem mostly solved! You can guess your way through some difficult words that sound familiar once you can say them correctly. English has one magic letter that can sit at the end of a word and make the vowels nearby say their names, even when it isn’t right beside them cheering them on: “e.” So, “kit” like the first aid kit that holds your band aids becomes “kite,” the diamond-shaped paper construction that soars with the wind on the end of your string. The trick doesn’t always work with longer words, but try it before you throw it out: “polite.” That works. “Requisite.” That doesn’t. Somebody punches you in the arm. “Ow!” you say, if you’re American. The “o” and the “w” say “ow” in lots of words such as “owl” or “town.” If you don’t cuss but say the whole word when you’re punched, it becomes “ouch.” “Ou”? “Couch.” “Ouster.” It works much of the time–except “touch.” Exceptions keep us paying attention. English is all about guessing and reading as much as you can as often as you can so you get used to some of the confusing parts. 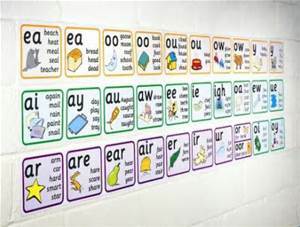 If you practice attaching the sounds we just went over with the letters that are usually used to make them, you’ll have an easier time reading and spelling. (Some people even create flash cards to help themselves practice.) If you skip over long words as you read, you won’t know what the heck is going on in the writing. Use your sounds to inch your way through until you can hear the word you’re saying. One day soon I’ll help you memorize the nutty combinations of letters that make the sounds we hear at the ends of words, so you can spell them without gritting your teeth. But enough for now. This entry was posted on April 5, 2014 by Personal Journeys with Gramma in Dear Gramma and tagged American English, Consonants, Dear Gramma, English, English Alphabet, English Language, featured, French, International Letter Sounds, Language, Letter Sounds, Phonemes, Pronounciations, Reading, Reading Difficulties, Reading Issues, Reading Techniques, Vowels, Writing, Writing Difficulties, Writing Issues, Writing Techniques.